최근 우리는 브랜드스토리 마케팅의 전개에서 하나의 전환기를 맞고 있다. 스마트, 모바일 미디어의 보편화, 소셜미디어의 활성화에 따른 사회 커뮤니케이션 방식의 변화는 브랜드스토리의 형성, 유통 방식에도 변화를 가져올 것으로 보인다. 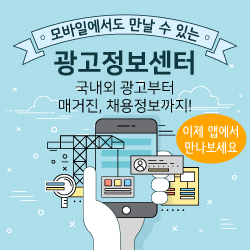 이러한 변화를 추동하는 주요 요인 중의 하나는 빅데이터 분석 방식의 도입이다. 빅데이터 분석은 마케팅, 광고 방식, 소비자 연구에 큰 전환을 가져올 것으로 예상되고 있다. 이 연구는 스토리 원형으로서의 신화와 빅데이터 분석으로 드러나는 소비자들의 욕구, 감성 사이의 어느 지점에 존재할 것으로 보이는 브랜드스토리의 성격과 이들 사이의 관계를 논의해 본 것이다. 현대의 브랜드스토리가 신화로부터 이어받은 요소는 어떤 것이 있으며, 스토리가 브랜드와 결합된 이후 어떤 변화를 거쳐 왔고, 최근 빅데이터로 드러나는 소비자들의 심층 심리와는 어떻게 연결될 수 있는지, 또 빅데이터 분석이 스토리 구성에는 어떤 함의를 주는지 등을 논한 것이다. 빅데이터는 기업이 세분화된 타깃의 ‘결핍-해결’ 구도에 맞는 브랜드스토리를 기획, 구성, 각색하여 마케팅할 수 있게 해준다. 빅데이터 분석은 소비자 욕구를 드러나게 해서 이것을 기업의 브랜드스토리에 반영하게 하고, 기업으로 하여금 이것을 스토리 원형이 담긴 브랜드 스토리로 구성하여 마케팅 활동을 전개할 수 있게 해준다. 이 연구는 디지털네트워크 시대의 빅데이터는 소비자 욕구, 심층 심리, 의식의 원형, 신화적 요소와 브랜드 스토리를 만나게 하는 연결고리 역할을 할 수 있음을 보였다. These days, we are encountering a turning point in brand story marketing. The changes in social communications caused by the popular uses of smart, mobile, and social media, are likely to bring about the changes in forming and circulating brand stories. One of the main factors to boost these changes is big data analytics. Big data analysis is expected to make a big turn in marketing, advertising, and consumer research. This study is to discuss the relations among the myths as story archetypes, consumer needs and emotions found out by big data analyses, and brand stories that would be in-between somewhere. What modern brand stories have inherited from myths, how the stories have changed since being combined with brands, what relations brand stories have with the consumer’s unconsciousness and hidden desire big data analytics can reveal, and what implications big data analysis give to composing brand stories, are the topics discussed. Big data analytics can make the marketers plan, compose, and rewrite the brand stories relevant to ‘need-solution’ structures of the segmented targets. In short, big data analyses can reveal the consumer needs, and enable the marketers perform brand story marketing activities by reflecting the needs to the stories. This study indicates big data analytics can be a link to connect myths and brand stories.